This space saving all in one breakfast station integrates a combination of appliances that are commonly used to make breakfast. Making breakfast can be a messy affair because you may need several different appliances in order to do it. 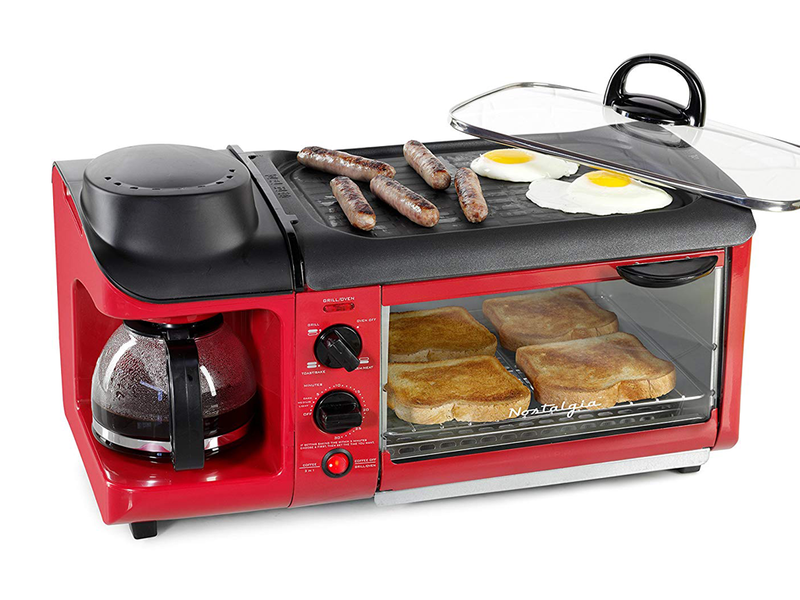 This breakfast station is cool because it solves that problem. The coffee maker is able to brew up to four cups at a time which is enough for everyone. 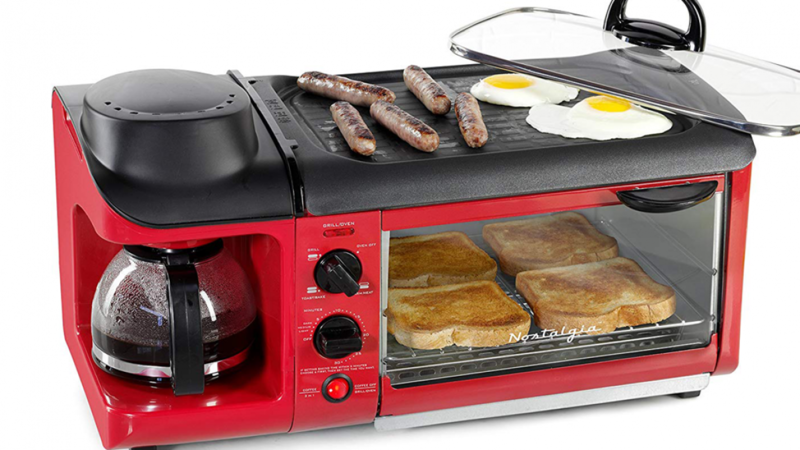 You will find that the toaster and the non-stick surface provide enough cooking room to make breakfast for your whole family. Clean up will be easier because you will not need to wash pots and pans. The toaster tray and the non-stick griddle can be removed for cleaning which is very convenient. You can use the toaster for toast, baking or reheating food. There is also a timer and an automatic shutoff switch for safety purposes. You will find this useful because if you do not have much time in the mornings it will help. With all of your breakfast equipment in one place you can get it done quickly. Breakfast is important because it helps give you the energy you need to start your day. This station helps because you can easily prepare a full breakfast even if you are in a hurry. If you like this breakfast station you may also enjoy the following.